22 Humanitarian Professionals are now MASHLM 09 Graduates! The MASHLM Program prepares active practitioners to engage in applied humanitarian research, providing education in the key areas of supply chain management, process and project management, strategic management, and humanitarian action. Participants build practical skills through real-world humanitarian challenges. Through MASHLM graduates, international aid organizations are equipped with the tools and methods that allow them to improve the quality of their operations. USI Rector, Professor Boas Erez, with the Dean of the Faculty of Economics, Professor Patrick Gagliardini, and the MASHLM Academic Director, Professor Paulo Gonçalves, greeted the graduates and bestowed diplomas, recognizing their achievements. USI was particularly honored to have as keynote speaker of this year’s graduation ceremony Nilawaty Bahar, Chief Human Capital Officer at The First MicroFinanceBank in Afghanistan. Nila is an alumna of the MASHLM program who implemented her thesis, demonstrating the impact of the program through cost savings that were re-invested into building capacity in the organization. The award for the Best Master Thesis went to Milan Sanjeeva Ponweera for his work, Lean Recruitment: Lean Six Sigma Case Study at Aga Khan Foundation Afghanistan, and Bisrat Lemma Aderie, for his thesis: Humanitarian Response by CARE International in Ethiopia: The Case of El Niño Disaster Preparedness and Response – a Process Analysis. The Università della Svizzera italiana is part of the Swiss public university system. Founded in 1996, it is distinctive in the Swiss university landscape because of the originality of its degree curricula and the high percentage of international students. USI comprises five faculties: Economics, Communication Sciences, Informatics, and Biomedical Science (as of 2020) in Lugano, and the School of Architecture in Mendrisio. 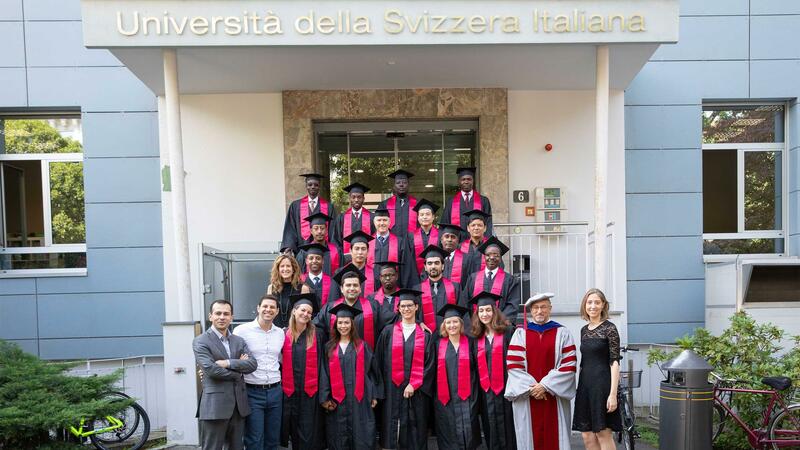 USI offers a range of executive programs, among them the Master of Advanced Studies in Humanitarian Logistics Management (MASHLM). The MASHLM program is a premier educational program that supports the global humanitarian community to improve its understanding of the challenges and opportunities in humanitarian emergencies. Participants are active practitioners that improve their performance in humanitarian operations. Based in Lugano, the MASHLM is an intensive part-time program with six residential sessions over twelve months. The program combines theory and practice to generate real impact by using advanced tools and methods applied to practical humanitarian challenges, focusing on the implementation of relevant theory to improve practice, and teaching across projects, organizations and experienced participants.